Notes: A genuine Bakhtiari (their designs are much-copied in Pakistan, India and China), in the classic Khesti design, with each panel containing animals and plants that act as symbols. 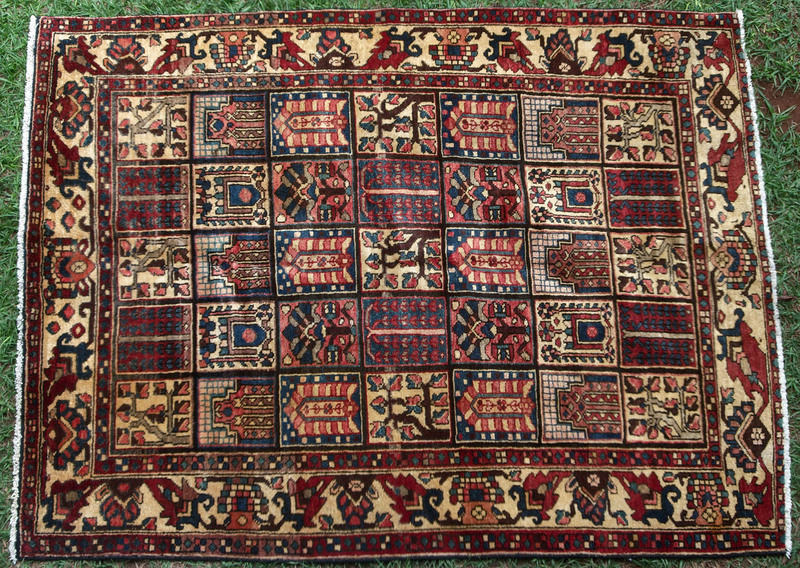 Although most Bakhtiari weavers are now settled, and no longer live a nomadic existance, a certain tribal design flare remains. This piece is woven with glossy pile, cut relatively high, on a cotton foundation. The dyestuffs are largely natural and are very appealing to the eye.